moreCat is an front-end application that leverages Browserify to make use of server side packages which allow the use of third party APIs . 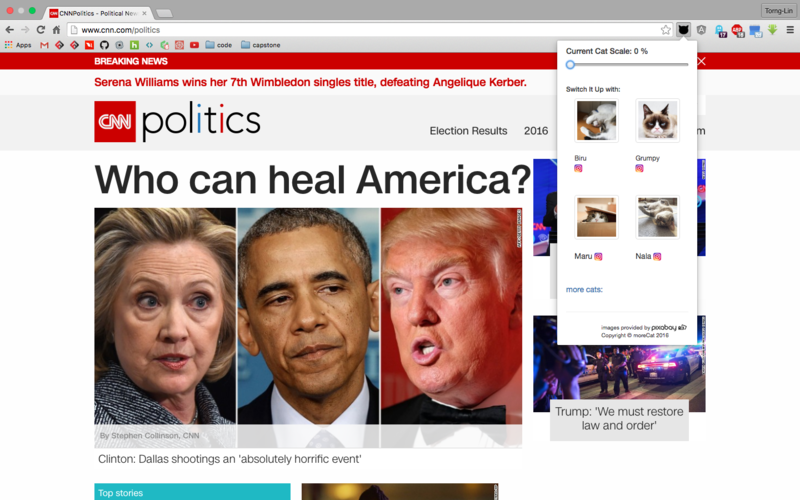 Torng-Lin (Taffy) Chen created this Chrome Extension using Clarifai, an image recognition service and Pixabay an image search engine. Her objective is to bring some laughter into our daily lives whenever needed, by swapping images with cat images. moreCat shows the user the percentage of cat images for a given web page. When users adjust the percentage by using the slider bar, it will replace the original images with random cat images. 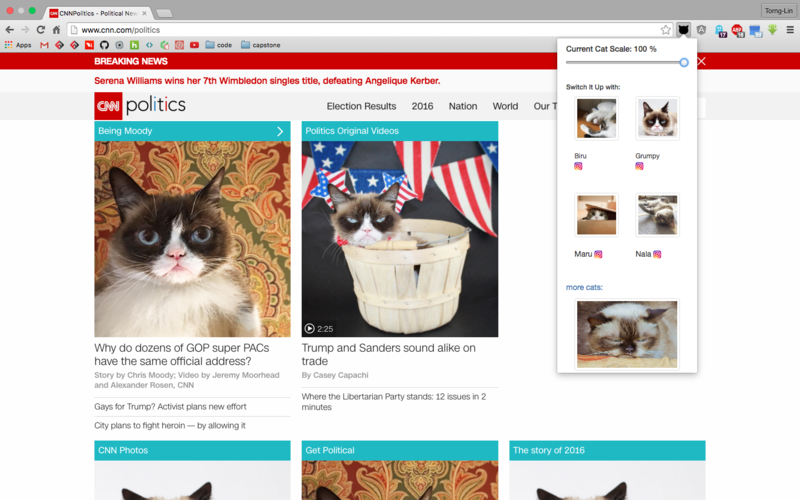 Users can also choose to use images of certain famous cats instead. moreCat is fun, lighthearted, and hopes to bring joy to the user's life.